The rose warms my heart every time I see it. For me, there is a sweetness to it. An innocence. Its subtle shifts in pinks works well with the natural shifts required by the morphology. 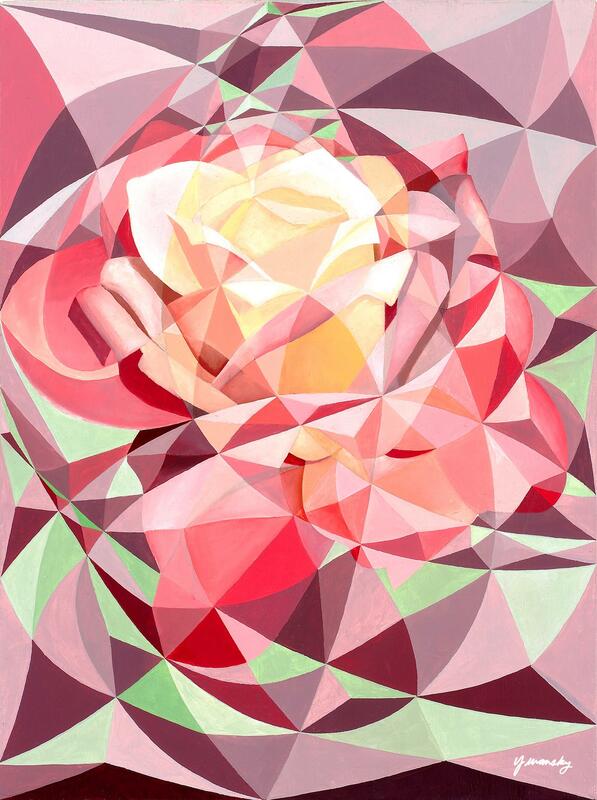 It feels almost seamless between these two converging forces with some petals peeling over into triangles. There is also a large pentagram star supporting the entire organic structure of the flower. 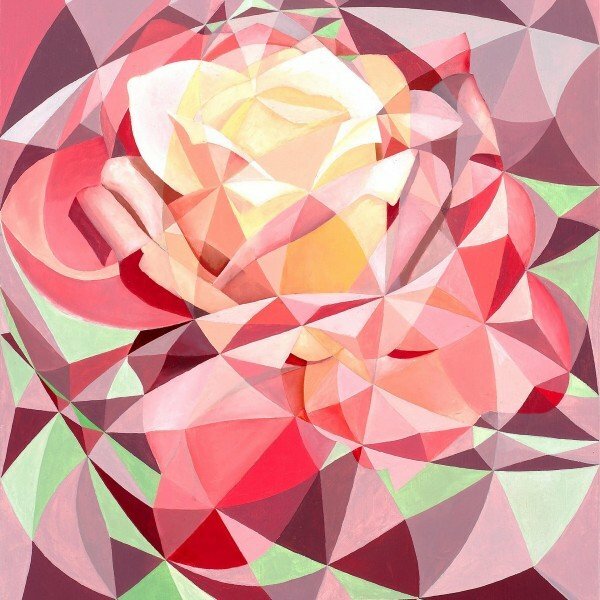 The rose petals utilize simple shading techniques that give the flower added depth and deeper crevices as in a living rose plant. The underlying green foliage in the piece is also a bit thorny and looks as if it might actually prick you. Working in oils lets me explore more intricate and subtle shading techniques to bring out more realism and create separation between a chosen image, like a rose, and the chosen background structure. Original painting 18″ x 24″. Oil on Canvas.